In reality, Verizon's 5G launch is a small-scale "5G TF" deployment and far from what consumers might expect when they see the term 5G. It's not mobile-related, for one thing. For another, even within these regions, the service is so finnicky it depends on your housing type. That's not to say it's a completely unimportant launch. 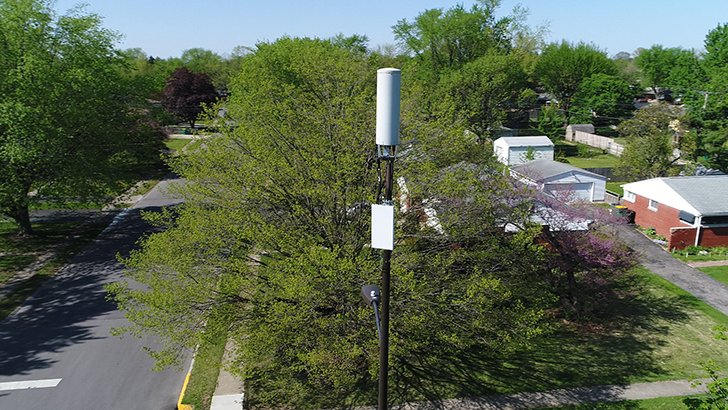 While the hyperbole level is impressive (and T-Mobile CEO John Legere is more than a little sour), the telecom company is offering fixed wireless using its 28/39 GHz spectrum that promises speeds of about 300Mbps for $70 per month. If that's a reliable number, then it's fast for wireless. 5G is supposed to reach multi-gigabit speeds, but to begin with, consumers should reasonably expect speeds in the hundreds of Mbps. Verizon says its maximum speeds for this service hit 940Mbps. Meet Clayton and Emily Harris. Still, it's not real 5G — or at least, most industry experts wouldn't grant it that honor. The global group that defines the 5G New Radio (NR) network standards is 3GPP. The standards body announced the completion of the non-standalone 5G specification (the one that piggybacks on LTE) in December 2017, and put finishing touches on the standalone version in June 2018. It's an ongoing process of development, though, and commercial equipment compliant with the standard is still in development. Verizon says that it'll update to be compliant with standards when its partners (Cisco, Ericsson, Intel, LG, Nokia, Qualcomm, and Samsung) bring 5G NR equipment to market. As it stands, here's a good breakdown of the differences between Verizon's 5G, and 5G NR. To entice users into opting for the new service, Verizon is offering the first three months of 5G Home for free, and existing Verizon Wireless customers get the plan for $50 per month. Additionally, it's promising 5G Home customers early access to 5G mobility when that service arrives, and a free three-month trial of YouTube TV, along with a free Apple TV 4K or Google Chromecast Ultra at installation. To find out if you're eligible for the service, see Verizon's website, but be forewarned: if you live in an apartment building, you won't necessarily be able to get the service even if you're in the right area. This has to do with the fussy nature of the high-frequency wireless spectrum needed to achieve 5G speeds. Nobody said rolling out a non-3GPP compliant 5G service was easy, folks.